I read this article and found it very interesting, thought it might be something for you. 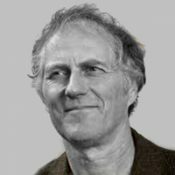 The article is called Evolving the New Economy: Tim O’Reilly and David Sloan Wilson and is located at http://evonomics.com/new-economy-evolution-oreilly-wilson/. I use the phrase “Evolving the Future” a lot nowadays. It’s the title of a major scientific review article (“Evolving the Future: Toward a Science of Intentional Change”) and part of the subtitle of my next book (“This View of Life: Completing the Darwinian Revolution and Evolving the Future”), which will be published by Pantheon Press in 2019. For me, the phrase represents the maturation of evolutionary theory to the point where it can be used to improve the quality of life at all scales, from individuals to the planet. I recently discovered a soul mate in Tim O’Reilly, whose cleverly titled WTF? What’s the Future and Why It’s Up to Us covers the same ground from a very different starting point. O’Reilly is one of the pioneers of the Internet, whose publishing business began with technical computer manuals and expanded into O’Reilly Media, which serves as a catalyst for evolving the future of the Information Age. As a polymath trained in the Classics, O’Reilly has absorbed some of my world of evolutionary science–especially genetic algorithms and their fitness functions-–but uses key words such as “evolution” and “adapt” in the vernacular for the most part. Nevertheless, his vision of what we must do to ensure a bright future is strikingly convergent with mine and there is uncanny overlap in the people and examples that we draw upon to make our respective arguments. I have Evonomics.com to thank for bringing O’Reilly to my attention. He wrote a complimentary tweet about my conversation with the economist Robert Frank, prompting Editor-in-Chief Robert Kadar to make a connection. Although Tim has already written for Evonomics.com, it is only fitting that we have our own conversation to explore the merging of our two worlds. DSW: Greetings, Tim, and welcome back to Evonomics. As you probably know, evolutionary theory developed more or less continuously since Darwin in the biological sciences but experienced a case of arrested development in relation to human affairs. 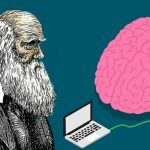 Only during the 1980’s did terms such as “evolutionary psychology” and “evolutionary economics” begin to be coined, signaling an attempt to rethink whole disciplines from a modern evolutionary perspective. This is why the Darwinian revolution is not yet complete and why a person such as yourself, despite being intellectually voracious, might have encountered evolutionary theory only here and there in your own intellectual odyssey. I would therefore like to begin by asking how much formal evolutionary thinking you feel that you have already absorbed—in other words, the use of key words such as “evolve” and “adapt” in ways that are not just colloquial. TO’R: I never had any formal scientific training in evolutionary biology beyond my high school AP biology class, but as a scientifically literate layman, I have read many books on the subject over the years, and it has been part of the texture of my scientific understanding. In addition, I co-organized a conference on bioinformatics with Nature Publishing Group from 2001 to 2003, and I’ve been running a science unconference called Science Foo Camp with Nature and Google every year since 2004. In choosing to study Greek and Roman classics at Harvard, I was influenced by books such as Bruno Snell’s Discovery of the Mind, which focused on apparent changes to the way that humans understood themselves and where thoughts came from from the time of Homer to the period only a few centuries later when Socrates and Plato were articulating ideas that have been the foundation of our abstract thought ever since. I wrote my honors thesis in 1975 explaining that mystical passages in Plato were not the result of “Orphic influence,” but rather an expression of the numinous power that new ideas have. So much of what we think is rehearsed knowledge. When we think things for the first time, they change who we are, evolving us as individuals and ultimately as a species, and they have enormous power as a result. Ideas of evolution and ecology were also part of the backdrop of Frank Herbert’s Dune Trilogy, about which I wrote my first book in 1978. If you can find a used copy of that book on Amazon or alibris, or for that matter, where I have put it up as a PDF on my website, you will find a lot more material for this Q & A.
I had never thought that much about economics in evolutionary terms, but as I wrote my book WTF? What’s the Future and Why It’s Up to Us, it occurred to me that the idea of fitness landscapes bridged well to the idea of fitness functions or objective functions in AI, which is why I used it in the early part of my book. As you know, I also used Lynn Margulis’ idea of symbiogenesis in my thinking about future AI. I was familiar with her ideas but I was not actually familiar with the term itself when I wrote the book. I only learned about it after the book was published, via a talk at Stewart Brand’s Long Now Foundation. That’s why the term itself never appears in the book. I mostly use these ideas as analogy, metaphor, how to trigger the spark of recognition, but I can also see that they may be the basis for a true scientific theory of economics. To begin, we need to do a bit of clear thinking on what science is. It is commonly portrayed as a contest between theories that is based on a common stock of observations. First we see and then we theorize. Theories that do the best job of explaining the observations are accepted, only to be challenged by another round of theories, and so on, bringing our knowledge of the world closer to reality. The problem with this view of science is that the common stock of observations is nearly infinite. We cannot possibly attend to everything so a theory—broadly defined as a way of interpreting the world around us—is required to tell us what to pay attention to and what to ignore. We must theorize to see. A new theory doesn’t just posit a new interpretation of old observations. It opens doors to new observations to which the old theories were blind. I could have used words such as “perspective”, “worldview”, and “narrative” in place of “theory”. You use the word “map” to make the same point. Please elaborate on your concept of using the right maps. TO’R: You’re absolutely right. We are all operating from a map of the world, which was built up from raw sensations during early childhood, but as we grow older, it is mostly handed down to us by others. A small child is naturally a scientist – I remember my grandson dropping peas from his high chair, watching them carefully as they dropped, repeating the experiment until he was satisfied that the behavior was consistent. Too often, children’s natural explorations are cut short, and their ability to learn from experience is cut short with them. Some people have the retained the gift of looking at the world straight on, and forming a new map. I’m not sure I agree with you, though, that we must already have a new theory to see the world anew. In my own experience, it’s when we let go of theory, realize that the universe is infinite, our experience of it a limited abstraction from all that we might experience, and our labels or language or maps that describe it yet another level of abstraction, that we can begin to open our minds and see the world freshly. In Zen Buddhism, they call this “beginner’s mind.” It’s easy to think that this is just an attitude; it’s not. It’s a way of opening yourself to the direct experience, free of the maps that blind us to seeing it for the first time, like a baby does, and letting the world itself teach you. Re-envisioning the world definitely involves drawing a new map, though. Old maps get out of date, and we have to see the world afresh to keep up with the new possibilities. Scientists redraw the map, but so do poets and artists and politicians and entrepreneurs. I also use the analogy of doing a jigsaw puzzle where all the pieces may not yet be on the table, and where there is no finished image to work from. Most of us aren’t able to envision a new world out of whole cloth, which is why innovation is often stepwise, with one entrepreneur building on the insights of another. In my book, I describe the complex (unfinished) dance by which the ride sharing market as we know it today evolved. The original vision for Uber was for a black car service. It was Sunil Paul who envisioned peer-to-peer car sharing with his startup Sidecar; that idea was popularized by Lyft, and then made its way back to Uber. But Sunil had had much earlier ideas (many of them) about how GPS could transform the transportation market, but there just weren’t enough GPS-enabled smartphones around in 2001 when he wrote his original patents for his ideas to take hold. DSW: Against this background, we can compare two master theories (=perspectives, worldviews, narratives, maps). The first asserts that the pursuit of lower-level self-interest robustly benefits the common good. This is the basic concept of laissez-faire that has been central to economics from the beginning. It is captured by Mandeville’s “The Fable of the Bees”, by Adam Smith’s metaphor of the invisible hand, by the novels and essays of Ayn Rand, by the “Greed is Good” meme from the movie Wall Street, and by the mathematical edifice of neoclassical economics and its lofty sounding “First Fundamental Theorem of Welfare Economics”. The second is Multilevel Selection (MLS) Theory from evolutionary biology, which shows how adaptations can evolve—or fail to evolve—at any level of a multi-tier hierarchy, such as from genes to ecosystems in biological systems or from small groups to global-governance in human social systems. The general rule of MLS theory is “adaptation at any given level requires a process of selection at that level and tends to be undermined by selection at lower levels (go here for more: 1,2,3). In human terms, what’s good for me can be bad for my family; what’s good for my family can be bad for my clan; all the way up to what’s good for my nation or corporation can be bad for the global village. This is profoundly antithetical to the invisible hand metaphor as commonly understood, although it leads to a new and more legitimate conception of the invisible hand, as we will see later in this interview. In any case, you also reach the conclusion that narrow profit maximization or even a somewhat more enlightened objective of “customer delight” (as Amazon’s CEO Jeff Bezos puts it on p. 366 of your book) isn’t good enough and becomes part of the problem. You even use the evolutionary phrase “flawed fitness functions” (p 197). Please elaborate on these points from your own perspective. TO’R: Here we are definitely thinking in parallel using different bodies of knowledge as the maps we are working from and trying to make more accurate. You are using evolutionary theory; I am using AI and the management of algorithms. When Google, Facebook, Amazon, or Uber build a marketplace, they are effectively building an algorithmic system for management of their marketplace. My contention in my book is that if they model the world incorrectly, the system they build will fail. I argue, for example, that if Uber is building a two-sided marketplace that requires both passengers and drivers, rewarding passengers with low fares while treating drivers as an inexhaustible resource to be exploited with low wages is not sustainable. The master algorithm of growing company valuation leads them to strategies that increase their value in the short run but cost them more in the long run. Similarly, if Google directly provides more and more of the services that were once provided by other websites, they will eventually impoverish the environment on which their core search engine depends, much as Microsoft impoverished the PC software development ecosystem 20 years earlier, forcing software developers to seek opportunity elsewhere. In research into Google’s financial statements since I finished the book, I’ve determined that this process is already well underway. In 2004, Google received 51.5% of its revenue from advertising on its own core properties at that time, only Google search, and 49.5% from advertising on 3rd party websites. Today, 82% of their revenue comes from Google’s own product offerings. But Google has also done some things to radically expand the market opportunity, for example by open sourcing Android. While Microsoft tried to preserve the dominance they’d achieved on the fitness peak of the personal computer by controlling the web, Google seems to have bridged successfully from the web to the new fitness peak of mobile with a strategy of generosity. There’s a lot to learn there. I believe that this analysis of tech platforms also has parallels in the broader economy. My conclusions are very similar to those of Kate Raworth in her book Doughnut Economics: the job of economics (including corporate economics as a guide to business strategy) is not to keep growth going up and to the right forever, but to keep a company and the ecosystem on which it depends in balance. Kate’s Doughnut Economics is very similar to the idea of the Goldilocks zone for planets that support life. I also tie this idea very much to Alvin Roth’s ideas of marketplace design, and to my own idea of governments as the managers of platforms in the same way that tech companies are. Markets are designed by humans, and they have rules that shape them. Those who say “government should stay out and let the market decide” fail to understand how many rules there are– tax policy, for example – that already shape the market and its incentives.” If we don’t design the platform rules correctly, it will fail over the long run. The title of Al Roth’s book is Who Gets What – and Why, and that, it seems to me, ought to be the central question of economics. Can we understand better how to build systems that reward the right behaviors? For so long, we didn’t have the tools to do so, but in the age of AI and big data, we are getting better and better at it. Think about Google search – 3 billion queries a day from a billion humans in an information marketplace whose rules are not at all natural, but are designed and managed, quite successfully, by a team of programmers and economists in Mountain View, California, enabling a symphony of independent human activity. Google has effectively built an “invisible hand.” This is not something built once and turned loose. It is the product of active management, with algorithms that require constant updating to respond to new information, including attacks on the system’s integrity by those trying to exploit its flaws. It is a kind of managed evolution. Unfortunately, while Google has succeeded in this effort for the past twenty years, their failure to understand that they are not just the masters of the marketplace they have created, but a participant in it, and that they need to act as stewards for the whole, not just for their own advantage, means that the system is starting to break down. DSW: Taking MLS theory seriously leads to a radical conclusion: policies must be formulated with the welfare of the whole earth in mind. I define policy broadly as any deliberate plan of action to achieve a given objective. Hence, the objectives of a company such as Amazon, Google, or Facebook count as policies, as much as governmental policies. In a sense, the statement that policies must have the welfare of the whole earth in mind isn’t new, because many people have a whole-earth ethic that they justify in a diversity of ways. Even profit-maximizing corporations can have a whole-earth ethic and are merely misled by the “Greed is Good” worldview into thinking that profit maximization in free markets is the way to make the world a better place. What’s new is for this simplistic worldview to be so authoritatively rejected by MLS theory. As I was reading your book, the phrase “The Customer is the Whole Earth” occurred to me as a way to convey to a business-minded person, who already understands the necessity of pleasing the customer, the need to adopt a whole-earth ethic to avoid becoming part of the problem. Is there any hope of getting corporations, large or small, to embrace this concept? That is, all of the profit is allocated to capital, regardless of the value of it as an input. Following Paul Cohen’s formulation, that we need to model complex interacting systems, we should be trying to understand the value of the various inputs to the system, and rewarding them in an optimum proportion, keeping long term sustainability in mind. Instead, we treat materials and labor as costs – and not only costs, but as resources to be exploited – while only capital is treated as a primary source of value. In so many cases, it is the smallest source of value. Marjorie’s formulation is of course another way of framing the famous “triple bottom line.” I’d like to go further than that and say that what we are trying to do is to “model and manage complex interacting systems.” It’s incredibly exciting to me that AI and big data algorithms are starting to give us laboratories for doing just that. I’m really fascinated by work like that of Carla Gomes’ Institute for Computational Sustainability, which uses data to do complex problem solving over not just economic but also environmental and human values. For example, they are helping the Brazilian power company to optimize which tributaries of the Amazon they dam, and helping the California water authority time releases of water to the California rice fields to coincide with the arrival of migrating birds. It turns out that doing so is good for both the birds and the rice farmers. DSW: Pointing out the necessity of a whole-earth ethic isn’t helpful without a practical plan for putting it into action. We know that many approaches will not work. Laissez faire won’t work. Centralized planning won’t work either because there will always be unforeseen consequences in a complex world. And we can’t expect the desire for global welfare to override concern for the welfare of lower-level units such as nation, corporation, various social identities, and good old-fashioned self-interest. It must be a matter of aligning lower-level interests with higher-level interests. Fortunately, there is a middle path between laissez-faire and centralized planning, which is a managed cultural evolutionary process, similar to the artificial selection of plants and animals, except in this case it is the artificial selection of social systems. This requires: 1) a well-defined target of selection; 2) monitoring planned and unplanned variation; and 3) replicating best practices, realizing that the details of their implementation are likely to be sensitive to context. My book covers this ground in more detail, but the most important point to make here is that these adaptable social systems already exist to an extent. Whenever you find a cultural system that is working well, it is probably because the system has converged upon the elements outlined above—often without knowing it. In sense, natural cultural evolution has resulted in social systems that have incorporated artificial cultural evolution into their organization. One example that we both cite is the Toyota Corporation and its famous “andon” cords that are pulled whenever there is an inefficiency on the assembly line, triggering a swarm of activity to solve the problem (p. 117 of your book). Another example that we both cite is the military social organization developed by General Stanley McChrystal to fight Al Qaeda in Afghanistan and Iraq, described in his book Team of Teams. Something that I learned from your book is that Jeff Bezos has taken artificial cultural evolution to new heights at Amazon, especially with the help of artificial intelligence algorithms. Could you share this example with our readers? TO’R: The main point I was making in the book by telling the story of how Amazon applied Toyota’s “Andon Cord” model, by which any worker can stop the assembly line and summon immediate management attention, is the way that Amazon has built an organization that isn’t top down in the traditional way, but one in which small groups, working independently, communicate by clearly defined signals. While each group has its own fitness function, which it is expected to relentlessly optimize, these functions can conflict; the fitness function of any group may be checked by that of another. The art of management is to shape these functions so that they drive the entire company in the direction it wants to go, which represents an overall fitness function for the organization. This, as it turns out, is also how modern micro-services architectures work in software, and how practices like DevOps (the marriage of software development and service operations) weave an organizational hybrid of software and humans into a coherent whole. DSW: Open-source software development and other open-source processes are outstanding examples of “artificial cultural selection”. There is a clear target of selection (the development of the software) and a vibrant community providing the variation, in large part motivated by non-monetary incentives. In your book, you provide examples in which leviathan corporations such as Microsoft attempt to capture the market for their own profits, resulting in a loss of creativity and inferior products. Either that’s the way it ends up (a dysfunctional outcome) or the open-source community flows around and ultimately outcompetes the proprietary corporations. For me, this is an excellent example of lower-level selection (a leviathan corporation attempting to maximize its profits) becoming part of the problem, not part of the solution, at larger scales. Is that how you see it? TO’R: Absolutely. Innovation comes when the barriers to entry are low, and innovation can come from anywhere, and can be freely adopted on the basis of its superior fitness to the task at hand. By contrast, when companies become established, they often set rules and strategies that are counter-productive. For example, as the Internet and open source software led to a combinatorial explosion of innovation, Microsoft had what insiders called “the strategy tax,” which was that all roads had to lead back to the dominance of the Windows operating system. This led Microsoft to miss much of the Internet opportunity. DSW: Yet another central insight of MLS theory is that we evolved to function in the context of small cooperative groups, which need to remain the “cells” of large-scale “multicellular” society. This is the theme of Robert Putnam’s famous book Bowling Alone, but MLS theory adds much more scientific support—so much that it challenges the very concept of methodological individualism (go here for more). Small groups also feature importantly in your book; for example, the “two pizza teams” of Amazon as essential units of its adaptability (p 113), and Mark Zuckerberg’s hope that Facebook can contribute to vibrant online and offline groups (p 218). What is your own take on the importance of small groups? Regarding small groups, I can’t help but think of Freeman Dyson’s marvelous review of Geoffrey West’s book Scale, which is an encomium to the benefits of scale, particularly with regard to cities. Freeman began his review with a little sidelight about genetic drift, which he brought back as a profound counterargument later in the review, arguing that drift is greater in isolated populations, which is why many of our civilization-changing advances seem to happen by magic in a small area – ancient Athens, Renaissance Florence, or Silicon Valley – and then spread from there. It seems to me that we need both isolation and connectivity to prosper, which is why I do worry a bit about the homogenization of some aspects of modern society. But it seems that the human subconscious knows the need for distance, and so groups are always fragmenting, even within the frame of a single global culture. The culture of the future may cleave along axes very different than the ones that were shaped by climate and geography in the early days of the human era. DSW: Earlier, I said that the conventional view of the invisible hand (that the pursuit of lower-level self-interest robustly benefits the higher-level common good) is dead, but that MLS theory justifies a new, more legitimate version (go here for more). In this version, we must function in two capacities: 1) As designers of social systems (by managing the cultural evolutionary process); and 2) As participants in the social systems that we design. As participants, we need not have the welfare of the whole system in mind, but as designers we must. In short, higher-level selection is the invisible hand that winnows lower-level behaviors that function well at the system level from the much larger set of lower-level behaviors that do not. Could you elaborate on this theme, using examples such as Uber and Airbnb, which appear self-organizing but only because they have been designed that way? TO’R: I talked earlier about the idea of market design. What’s exciting to me about tech platforms is that they are the first algorithmically managed economies, and they are getting to a scale that rivals many traditional economies in complexity. What’s more, they evolve much faster than traditional economies, which are managed by slow-moving processes developed during the 18th, 19th, and 20th centuries. They thus provide a unique laboratory for understanding how economies evolve, and in particular, how they rise and fall, and how to make them sustainable. In the book, I try to make the case that just as tech platforms must always rewrite their rules in pursuit of their goals, so too must traditional economies. I also argue that the best platforms are dynamic and inclusive, and create opportunity for creative evolution from unexpected quarters. But when the platform owners act like peak predators, become extractive, and despoil their environment, they fail. I’m hoping to take those lessons about finding the balance between innovation and sustainability and spread them to those who shape our politics and our economic policy. There are lots of people who are making similar arguments from economic history. I’m trying to use this “tech moment” to make them with reference to the challenges of the internet, AI, and on-demand platforms. DSW: In general, you have an optimistic view of what the Internet Age can become, but you are also careful to acknowledge its current shortcomings and dangers. For example, the kind of gig economy represented by Uber and Lyft is not necessarily equitable in its current form—but it could if we adopted the right fitness functions and it could even give workers the strong voice that is typically associated with unions. For me, this illustrates the central logic of MLS theory that optimizing the whole system requires selecting practices with the welfare of the whole system in mind. Could you please elaborate on this theme from your own perspective? TO’R: The optimism in my book comes not from what I believe is the most likely outcome but what I believe is possible if we follow our best impulses rather than our worst. I use as examples how we learned the lessons of World War I and after World War II, raised up our enemies rather than punishing them. (Alas, we seem to have forgotten those lessons.) I talk about how we responded to the challenges of the industrial revolution by investments in universal education. And I talk about how at their best, tech entrepreneurs work to tackle hard problems rather than seeking the shallow, short term optimizations called for by today’s financial markets. I posit that we face a number of grand challenges – climate change, mass migrations, extreme income inequality and consequent political instability – and if we rise to those challenges, it will make us prosperous, while if we turn from them, it will destroy us. In a lot of ways, political economics is indeed evolution in action. If we rise to the challenges of our environment, if we adapt to them, we flourish; if we don’t respond appropriately, we struggle and eventually fail. DSW: It’s rare for me to encounter such a strong convergence of views from such different starting points. Thanks for taking the time to explore our common ground in this conversation! TO’R: I’ve really enjoyed it too. Thanks for providing such an interesting framework for this discussion.